From the inside front fly leaf: This well-researched book by an expert of his subject lifts the veil on the first large scale British use of gliders in action. This occurred in July 1943 as a key part of Operation HUSKY, the Allied invasion of Nazi-occupied Sicily from bases in North Africa. Flying in large numbers of troops by night over sea against a well trained enemy would be a challenge at any time. But, as the author reveals, the newly formed airlanding forces and the pilots of the Glider Pilot Regiment woefully lacked the necessary training and experience. The result was little short of a total disaster with over 300 men drowned and few troops landing successfully enough to carry out their missions. Thanks to shining examples of collective and individual heroism by survivors, a total catastrophe was averted. The successes and failures of this overly ambitious venture make for fascinating reading and classic military history. The book also covers the formation of air landing and airborne forces. 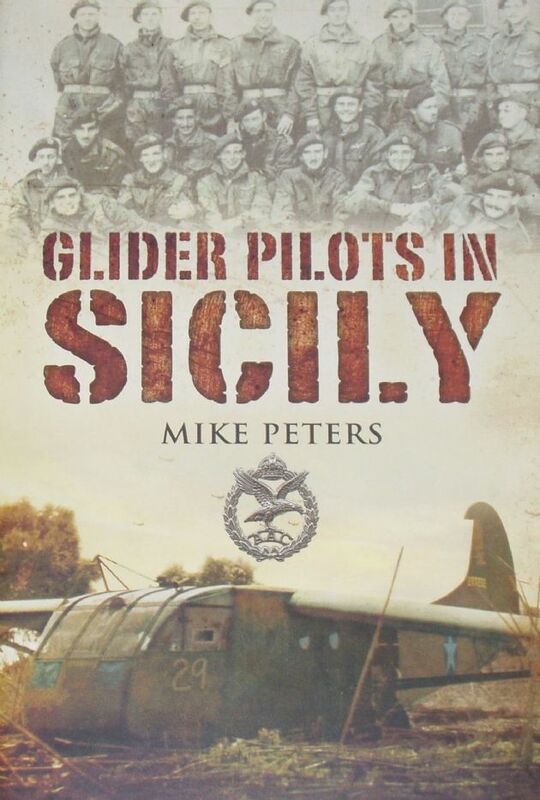 The men of the Glider Pilot Regiment, which had the highest casualty rate of any British unit of the War, certainly lived up to their motto - Nothing is Impossible.